The Osceola Outpatient Clinic and the Osceola School District opened in the summer of 2001 and moved into its current location at 3201 W. Keiser in 2010. Services provided include qualified behavioral health provider intervention, psychological testing, psychiatric evaluation and medication management, screening and assessment, play therapy, school-based services and education and training for qualified behavioral health provider. Such services are provided for individuals and groups as well as marital and family counseling for children, adolescents and adults. Medical Director John Burnett, MD, Leslee Lowe, APRN and Mallory Broadaway, APRN, DNP serve the Osceola clinic. 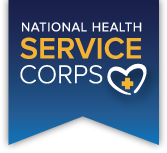 The Osceola clinic is recognized as an approved site through the National Health Services Corps. (NHSC). This means two very important things. First, clients who are seeking services but do not have insurance can apply for our Sliding Fee Scale to access services. Second, professionals who are able to practice independently (APRN, LCSW, LPC and MD) can apply through the NHSC website to have their student loans repaid in exchange for working at our Osceola clinic.